Oyster mushrooms are a genus of gilled mushrooms that are cultivated year round and can be found in many different colors, although blue and grey is the most common. Oysters are firm, yet tender and have a sweet, subtle flavor. 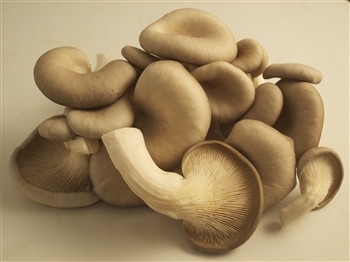 They grow in clusters and are low-maintenance mushrooms that require almost no cleaning or prep work. Oyster mushrooms have become one of the most commonly eaten mushrooms, and are often used in Asian cuisine.